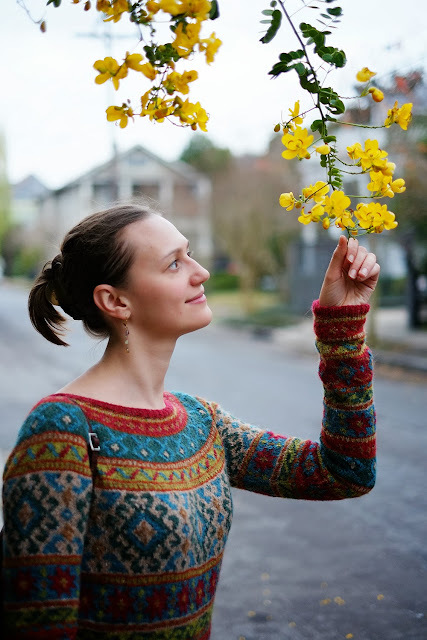 Anatolia from Rowan 54 - And More New Orleans Tips! Throwing all modesty out the window: I've knit a lot of beautiful things over the years, but I'm not sure I've ever knit something as breathtaking as this! As I am just a poor knitter, a slave to the written word (! 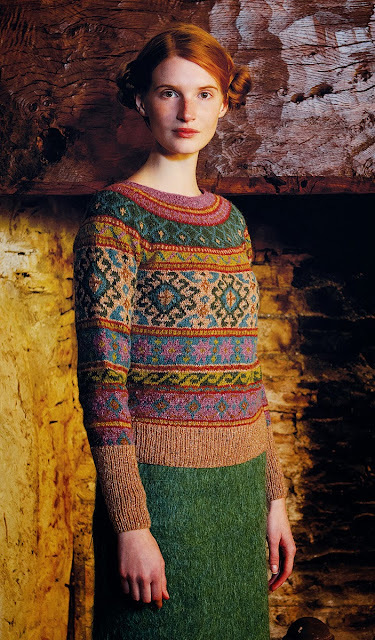 ), we must give all the credit for this beautiful design to Marie Wallin, for her razor sharp eye for colorwork and unrivalled talent for romanticism in knitwear. 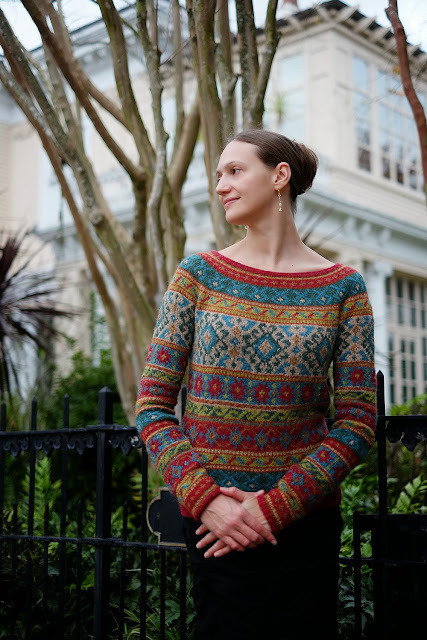 This is Anatolia from Rowan Magazine 54 (see my Ravelry project here), using seven colors of Rowan Felted Tweed DK (50% Merino, 25% Rayon, 25% Alpaca). 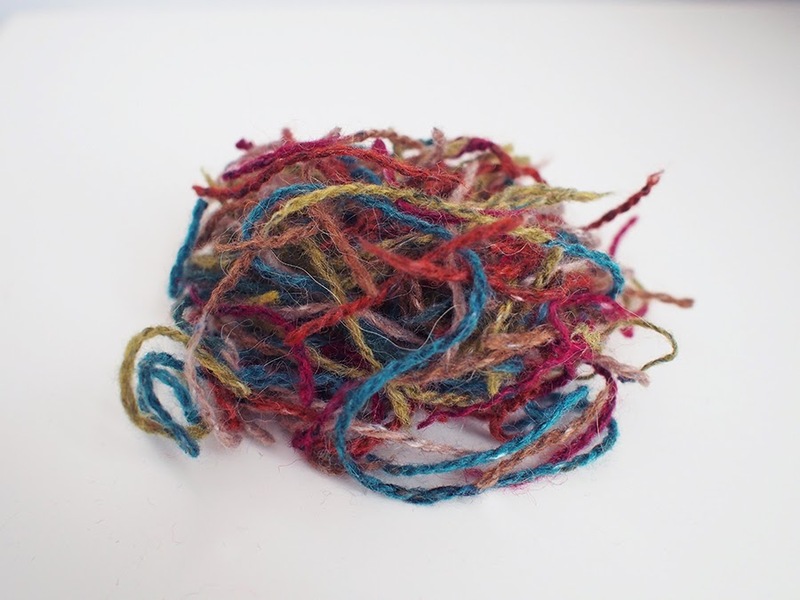 In my opinion, there is no yarn that looks quite like it. Warning! The photograph colors shown in the magazine were off. 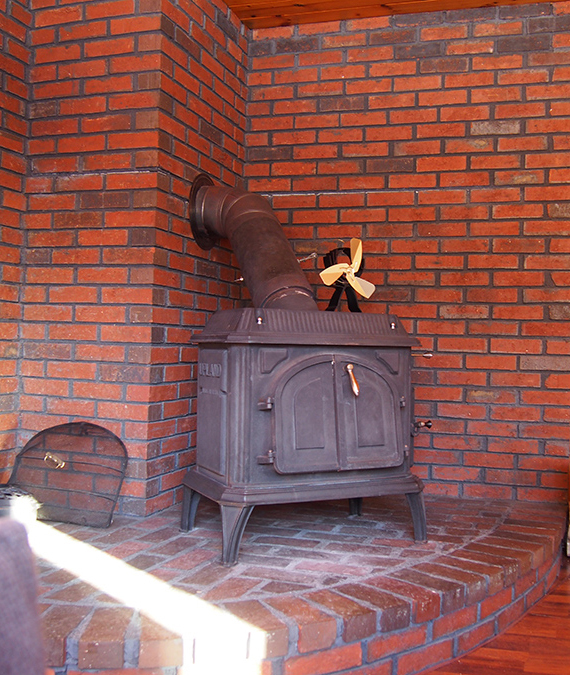 The pattern calls for Damask, but in the photo, it looks like Peony is used. If you buy the same colors, you will be in for a surprise! Many many people have written to me, "I love the colors you chose, they are so much better!" But can you believe that I only changed one? Yes! I simply replaced the Damask purple color with Rage red. The difference is palpable, it sings festivity! Suddenly, the flowers are poinsettias, who would have known? I had created the perfect Christmas sweater. 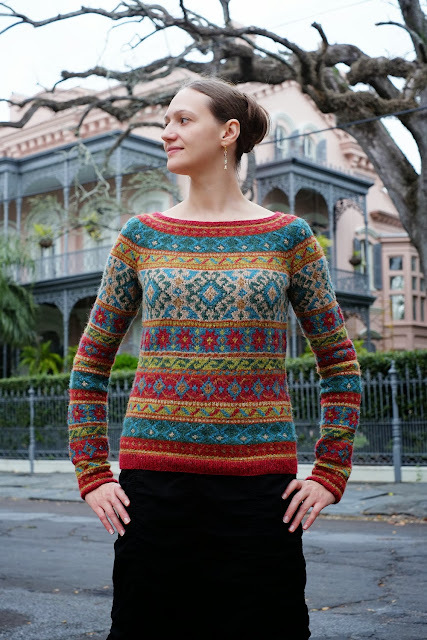 The pullover is stranded, that is, colors are held at the back the entire time. While some of the bands look like traditional fair-isle, they smash apart the rule that you must only have 2 colors per band. The designs use up to 4 colors stranded at once. Some of you may have your mouth agape -- yes, I agree, it is rather impossible to demand stranding 4 colors at once. With two colors, I use both hands to knit. With three, I try to have the dominant color in the right, and the two others in the left. Honestly, in the end, I don't know how I managed it! So how on earth to do four?! 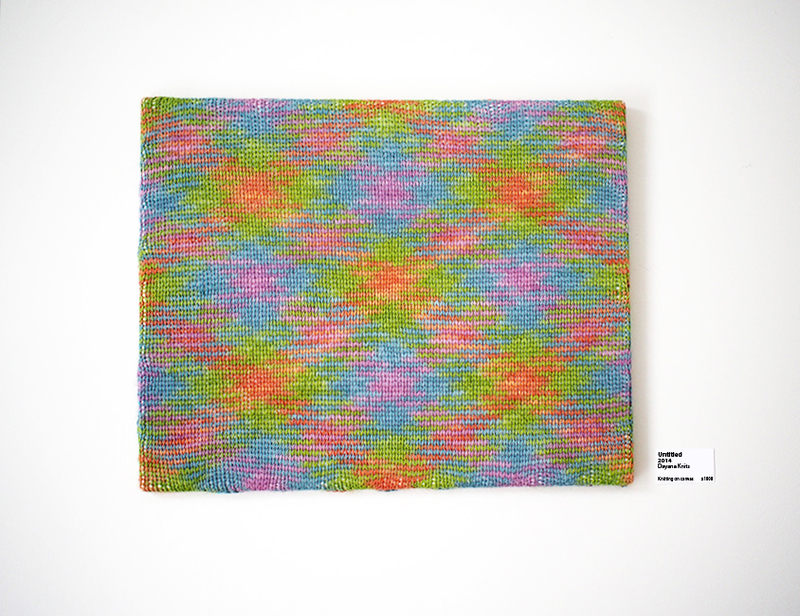 One of the ways chosen by knitters is to do "duplicate stitch" over an empty 2-color background. After knitting, you come back and embroider knit stitches on top. I decided to do "intarsia" for the small motifs, basically cutting pieces of yarn and only knitting with them when I came to them. 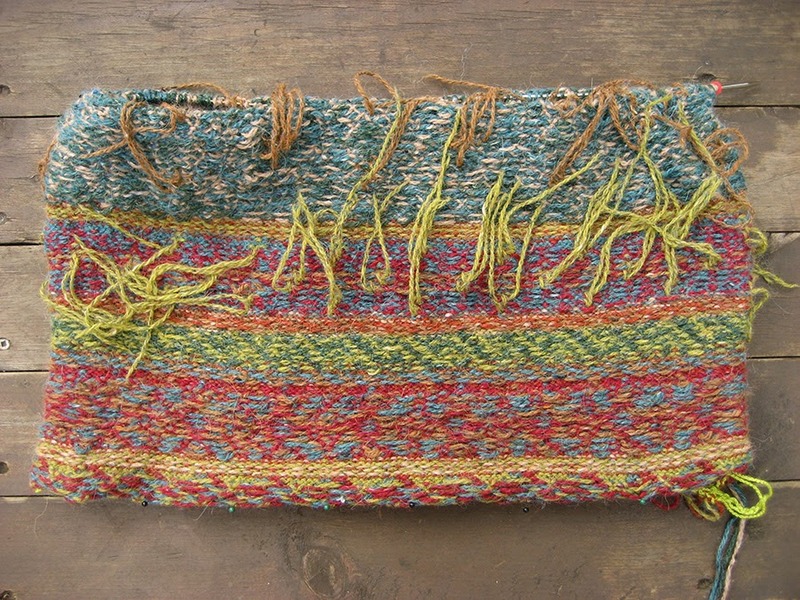 The pattern is written to be made flat and sewn in pieces. This presented a problem, as it meant that the wrong side had to be stranded in purl. I don't mind doing this for two colors, but for 3 and 4, no way. So, I converted the pattern to do it in the round. Note: the yoke is already written in the round, so you don't have to change that. One of the problems with knitting motifs in the round is the "jog". 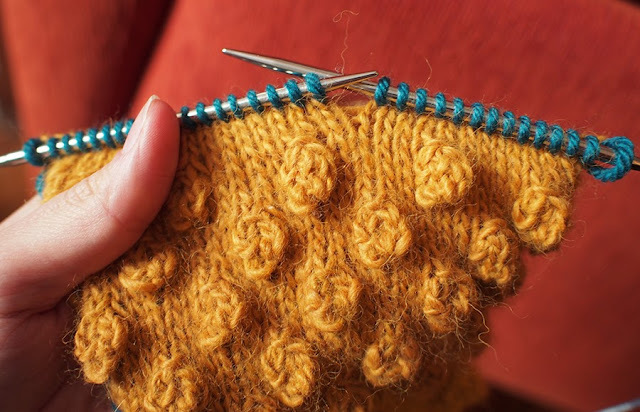 Knitting in the round is a big ole' spiral, so when you get to the new row, the color bands shift up by one. There are many ways to try and avoid this, none are really perfect. For the body, I kept two solid stitches at the seam, thus disguising where the colorwork meets. For the yoke, I tried something a little different. 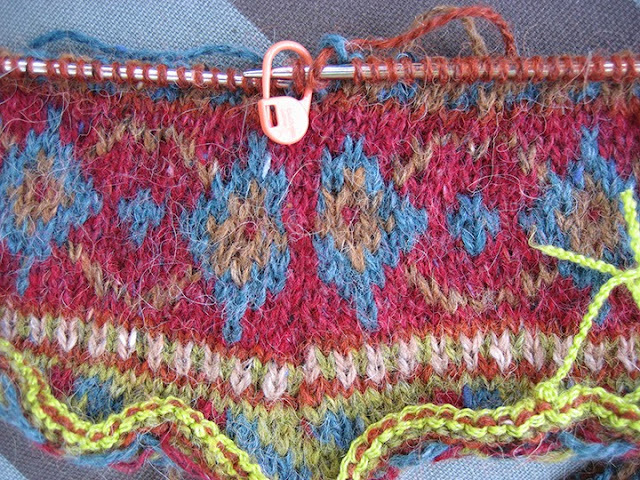 A long time ago, I learned that if you knit into the stitch below after one row of a new color, you can disguise the jog. However, this doesn't really work for colors that have just one row, because you make a bit of a mess trying to put in the new color so soon. So, I made something up for the one row color that separates every motif, and I was pretty pleased with the seam (it's in the center back of the yoke). Knit one row with the new color. Attach the next color(s) and knit the next row. 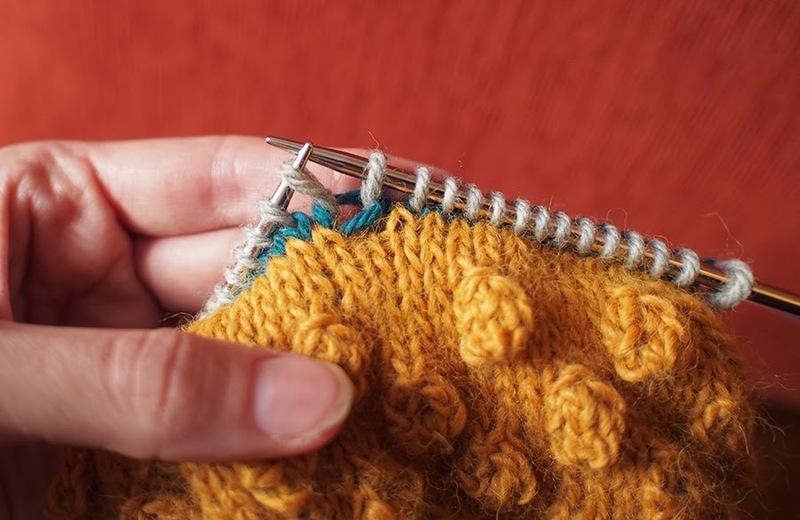 Instead, insert needle into the stitch below the next stitch (which is actually the first stitch of the round) and knit it together with the last stitch of the round. The ends are all pulled in here, to make it neat. Not bad! You can occasionally see that the stitch stretches over two stitches, but the jog is fixed, at least. 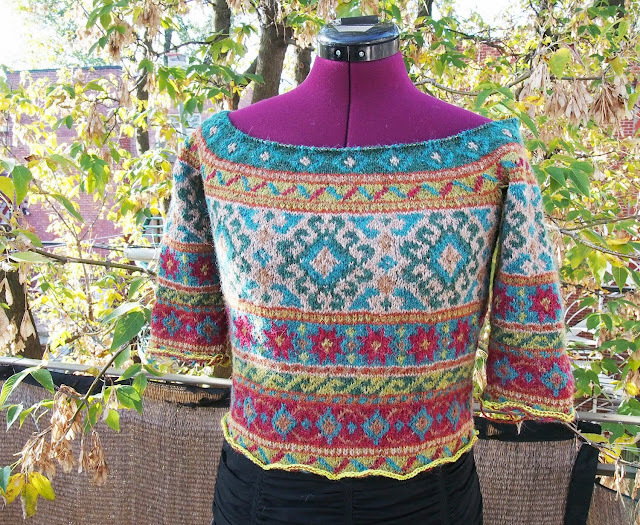 Now, the pullover wouldn't be a ME pullover if it didn't have some visual modifications. You can tell that I removed most of the ribbing from the sleeves and body, and replaced it with repeated motifs. Because I didn't want to be wrong about how much length I needed, I cast-on everything provisionally, finished the entire pullover, and then knit downwards. You can see that the whole thing was super short after following the pattern! My row gauge was clearly off. I had to add almost a whole sweater's worth of motifs to the sleeve, whoops. The other small mod was to reduce the length of the ribbed boat neck collar. Felted Tweed can be scratchy on the neck, so I needed to get it lower down. Anyway, I really love the low collar, very elegant! 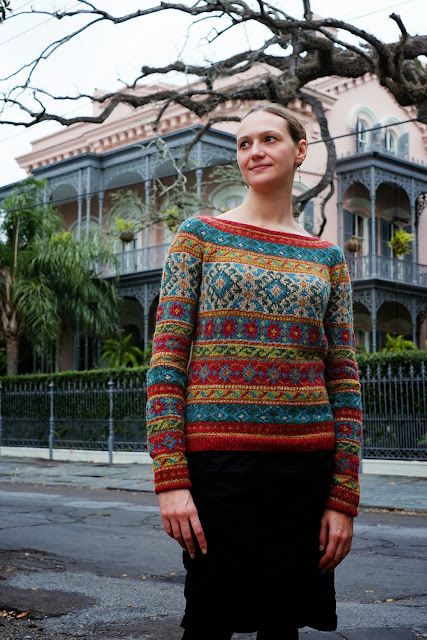 I scrambled like a total nut to get the sweater done for my trip to New Orleans on December 17. My husband was down there for a conference, and we had such a good time earlier in the year that I flew down to join him. Luckily, he left before me, so with 48 weekend hours and many instant dinners, I managed to get it all done! This is just a representation of the ends from the elbows down... I wish I had saved them all. Even I didn't realize how perfect New Orleans was to photograph this beauty. 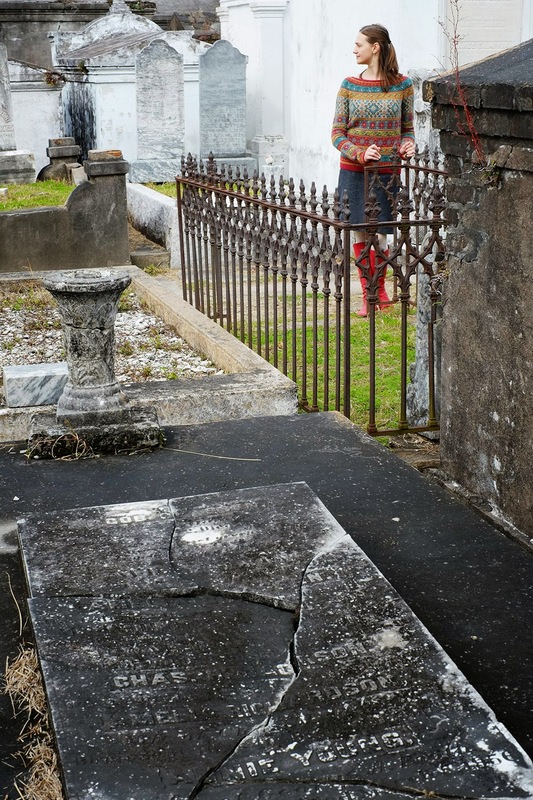 Some photos were taken in Lafayette Cemetery #1. 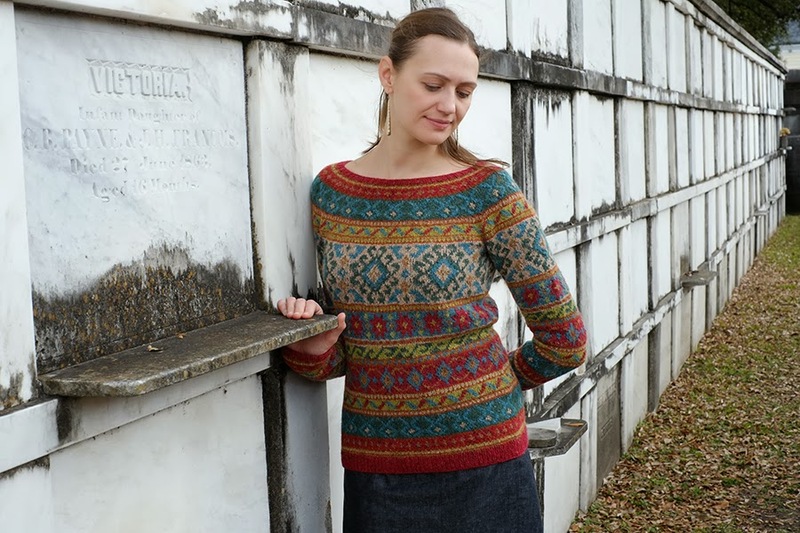 Yes, it's a bit odd prancing through a cemetery in a joyous sweater! Truth be told, I tried to spare you the photos where I was giggling, out of respect for the patrons who had been lying there for hundreds of years! B. tried to get me to be penitent. The following one makes me laugh, because it is ridiculous. I was trying to be serious, this vault is for a 16 month old girl who died in 1863. 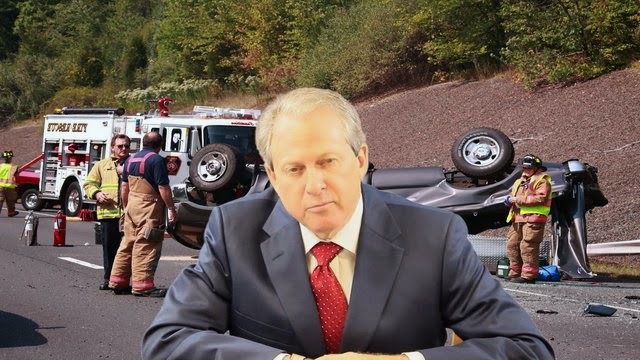 So, why do I look like I'm in a Personal Injury "Attorney" ad? When B. saw this photo he said, "You never ever make that face in real life." A compliment? 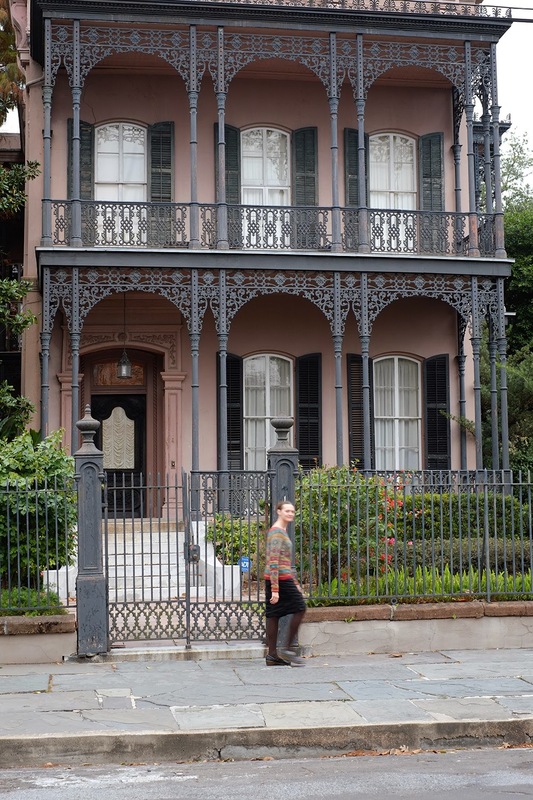 The rest of the shots are taken in the Garden District, amongst the ironwork. Go ahead, hop on the St. Charles trolley, get off around Washington and turn north, you won't be sorry. 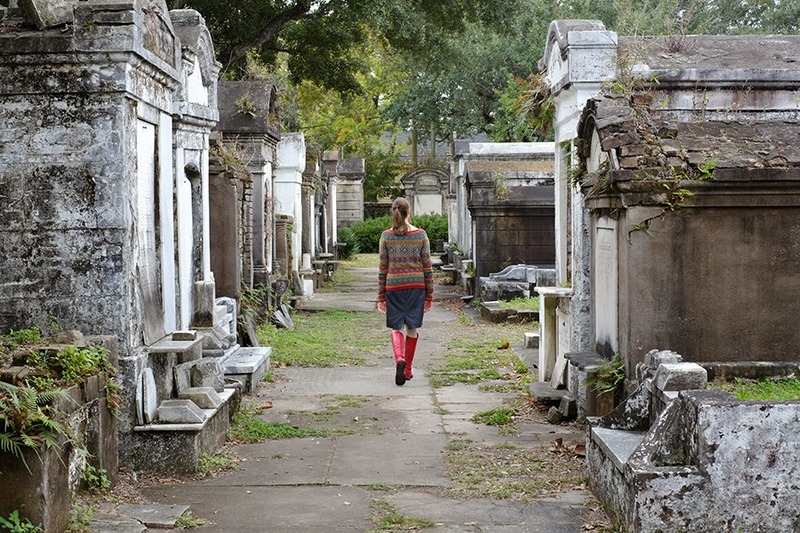 I call this one "Garden District Spooky". Some of you may remember my trip to New Orleans earlier in the year. Well, there were a number of tourist tips in that blog post, but of course we discovered some more. 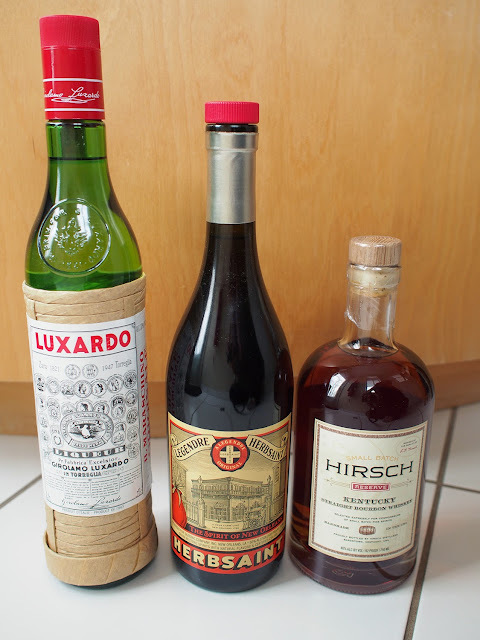 And a stop at Kiefe and Co. for some Herbsaint, Bourbon and Maraschino for "import". I love Po' Boys, like, insanely. I've confirmed that Coop's has the very best lightly breaded shrimp ones, there really is no comparison. But it's oyster season in New Orleans in the winter, and the fried oyster Po' Boy at Mahoney's on Magazine Street was killer! 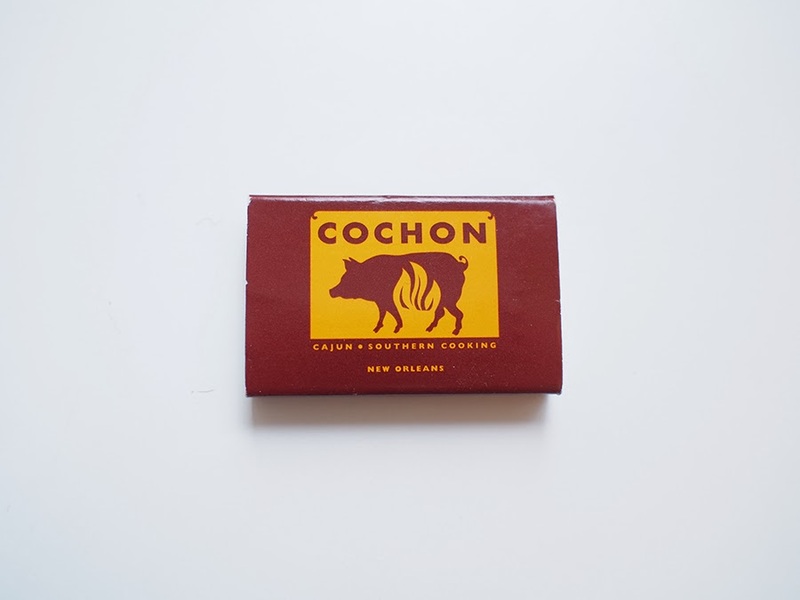 Mmm, good eats in the New Orleans Warehouse District! Anatolia has been an adventure! I cast-on the moment I received the winter Rowan magazine... but guess what just came in the mail? The Spring/Summer 2014 one! What delights will I find inside? Or rather, what delights will you find? Seriously, that is the most beautiful jumper I have ever seen. I can't believe it was handknitted...wow! 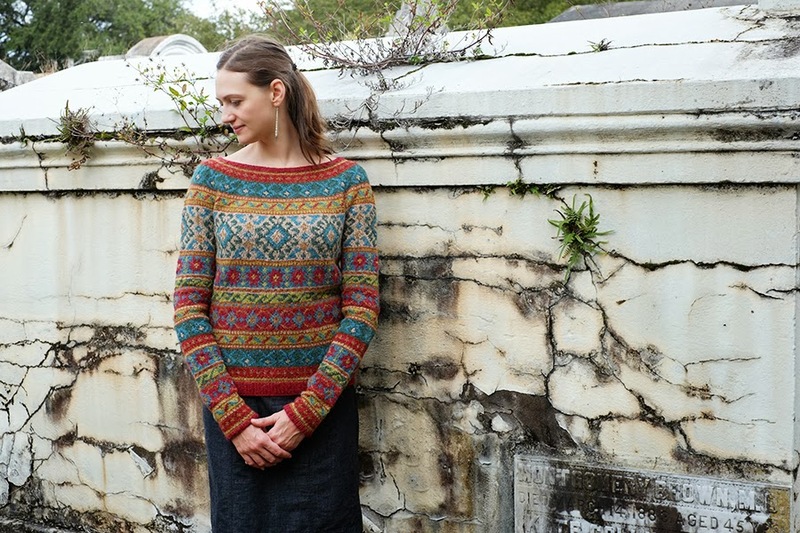 I'm knitting a top with Rowan Wool Cotton at the moment and it is lovely. 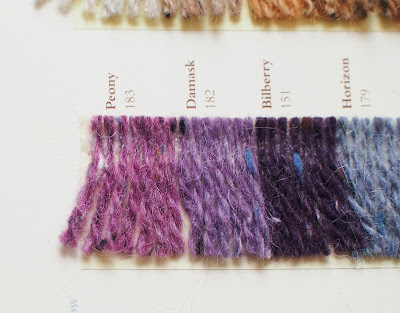 I'm a recent discoverer of Rowan yarns. Divine. 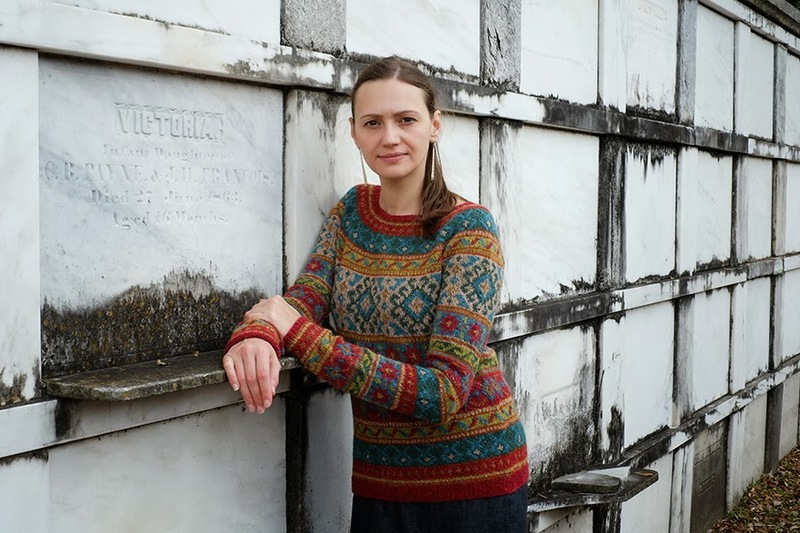 I popped over here right away from the Stranded forum on Rav to read your New Orleans story - just as lovely as your version of Anatolia. 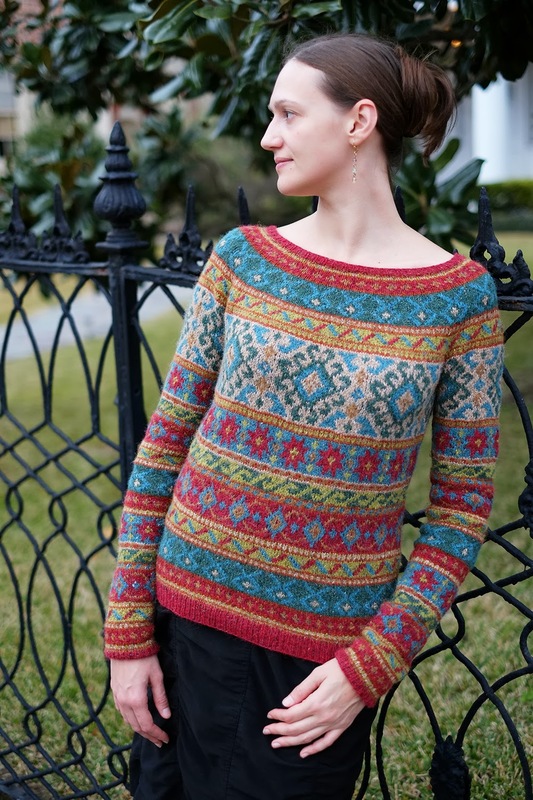 I definitely prefer your all-colorwork rendition to the original with its ribbed cuffs and hem. Thanks for the tech tips, too. Inspiring! Thanks, stashdragon, I love when I can tell more than just about my knitting! Wow. Your sweater is breathtaking. Your adjustments make it infinitely more appealing. Thank you for the color change in the round tutorial I will have to try that. Thank you -- if you do ever try the technique, drop me a line to tell me what you think! 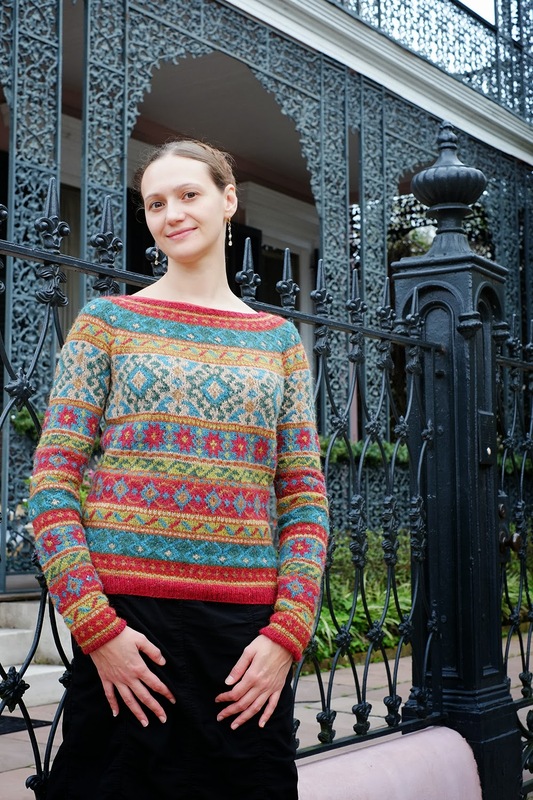 What a splendid sweater, very well done! I think that truly is the most beautiful handknit sweater I've ever seen -- just stunning! I really thought that you'd completely re-envisioned the color palette -- but of course, red would make anything better. Well done!! STUNNING! I love it. Amazing work! 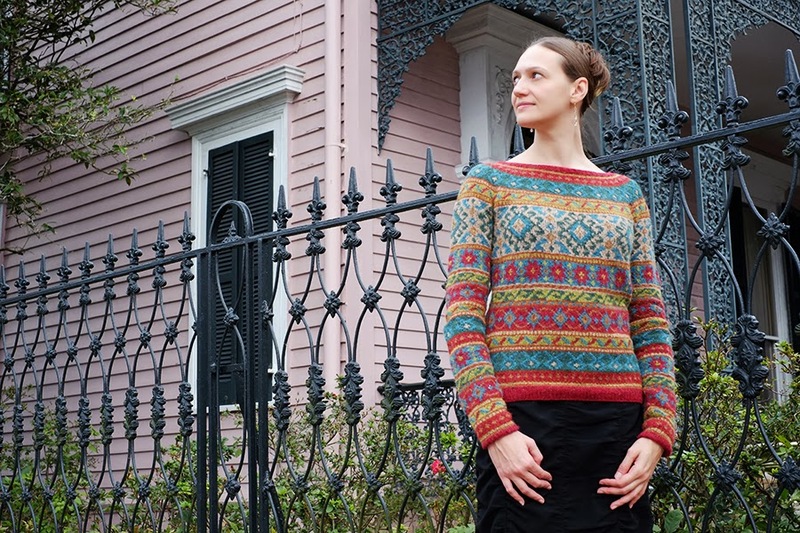 What a fabulous sweater, and great setting to photograph it in! I've only made it to NOLA once so far, and your post has me itching to go back! This was such a lucky visit. We had gone for a real vacation earlier in the year and I felt this woe that I wouldn't return... but then it just fell in my lap again! You must try to make it back. :) And thanks for the compliments! It's beautiful! Throwing modesty out of the window, as you put it, is quite justified for this sweater! 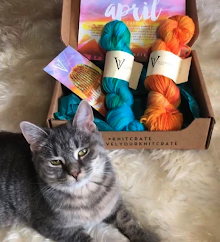 I already wanted to knit Anatolia, but now I'm sure of it. Thanks for your technical details on the stranded knitting. I am a little worried about how thick the sweater will be if you make it with 4 strands as in the pattern. The adjustments you made are nice, it looks very good on you! Thank you my dear! I absolutely think 4 strands carried would be like wearing cardboard... already when people fell it they say how thick it is. Also, I forgot to write above, but the tension of 1, 2 or 3, strands is so different, 4 would be taking it too far! Oh my!!! 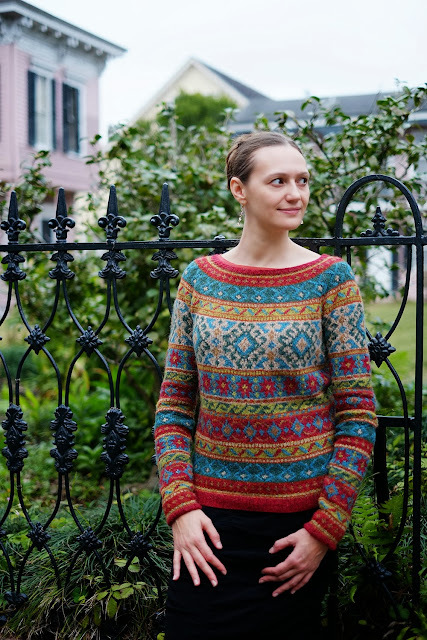 Just gorgeous, pictures and the sweater! 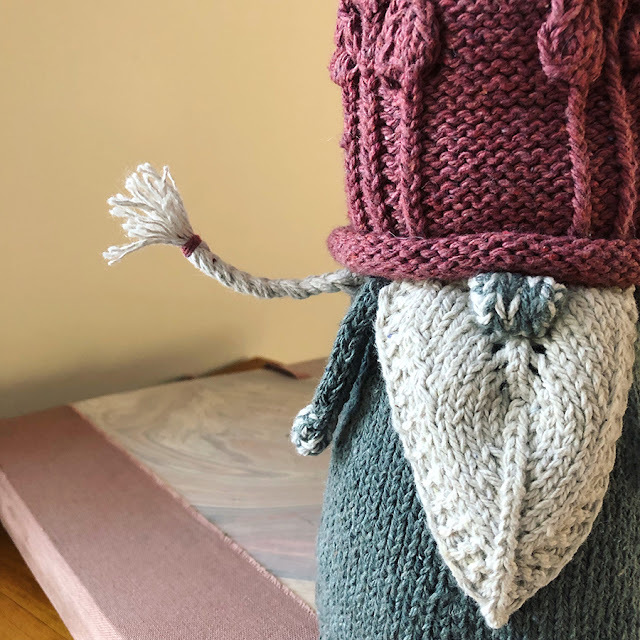 Such great skill to knit this, amazing! Wow! 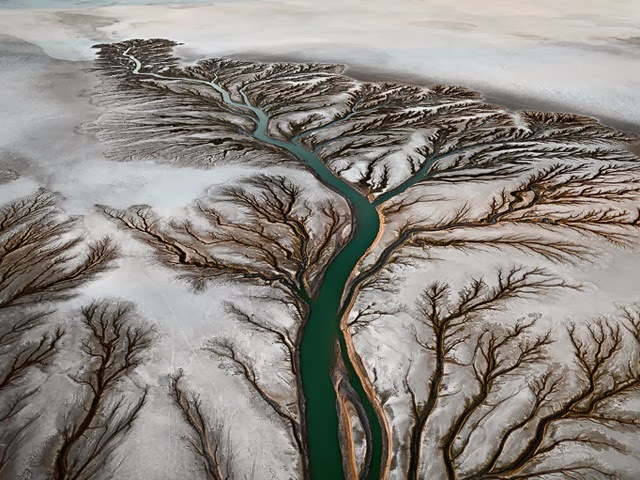 This is simply stunning. You are such a superb knitter! I prefer your version to the book version with your colour change and mods. It looks so elegant. Love all your photos too! That is simply stunning; what a great Ambassador you are for Rowan. That red really lifts the whole design - I only wish I could wear it but with my red hair they would screech at eachother! WOW! 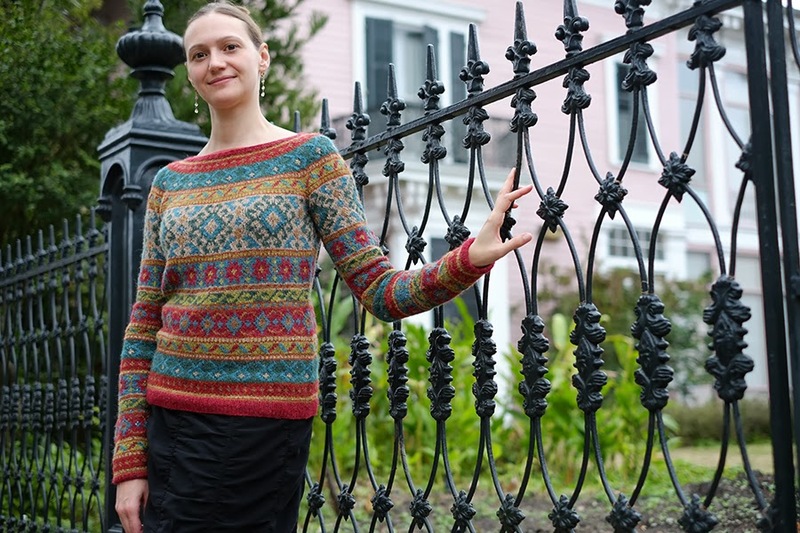 Words fail me at how beautiful that sweater is and thanks for posting your tips on preventing the jogs. 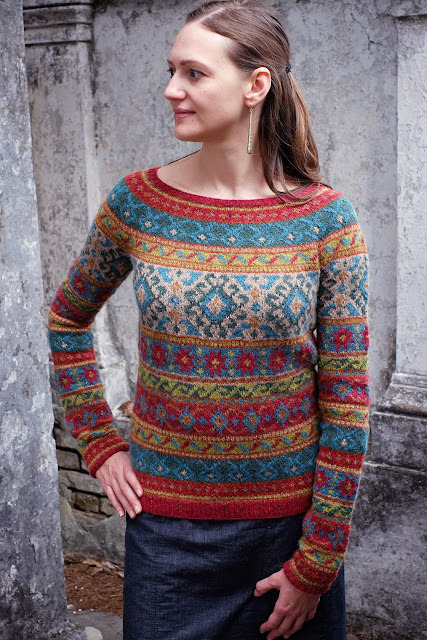 I've had my eye on this pattern for a while and may make it my 2015 project but I need to practice my fair isle first (and I've not tried intarsia yet which is on my 2014 list of new skills to tackle). I admire your organization -- a 2015 project, wow! Well, I will be here, don't you worry, when you are ready to move forward. 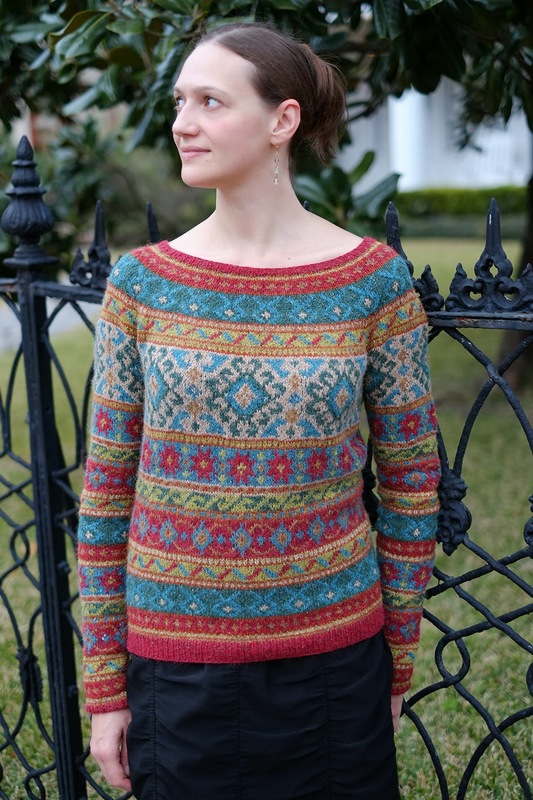 :)))) Fair isle is quite addictive... beware! What a spectacular knit, Dayana! 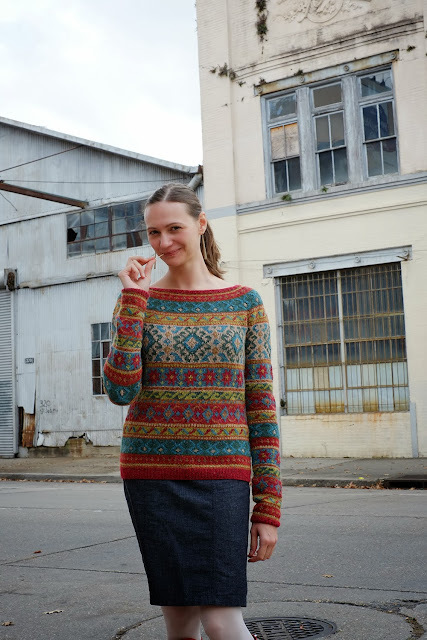 I love the solution you described on how to avoid the color jog in the yoke. 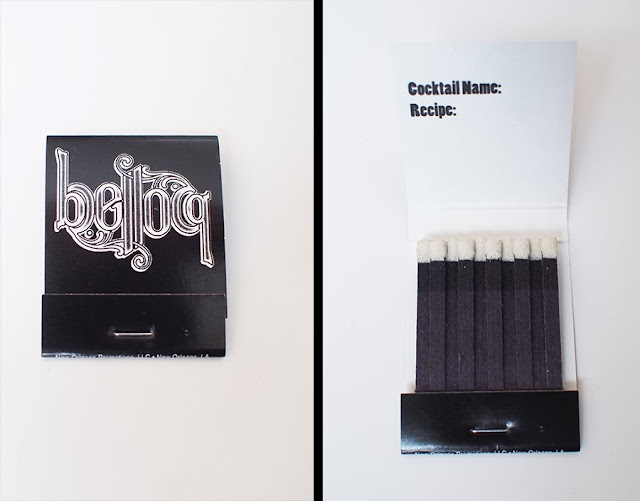 That is very useful!! And your lower scoop neck is a wonderful improvement--it makes the sweater look much more modern and wearable, in my opinion. It is interesting how the color substitution improves the design so much. Perhaps it is the direct contrast between the red and green that simplifies the overall color effect and makes is that much more compelling. Anyway, it really turned out amazing! Thank you! I've been trying to figure out why it looks so different. And I think it's only because of those long beige colored ribbing pieces... getting rid of them makes such a different, more colorful impact. Thank goodness! 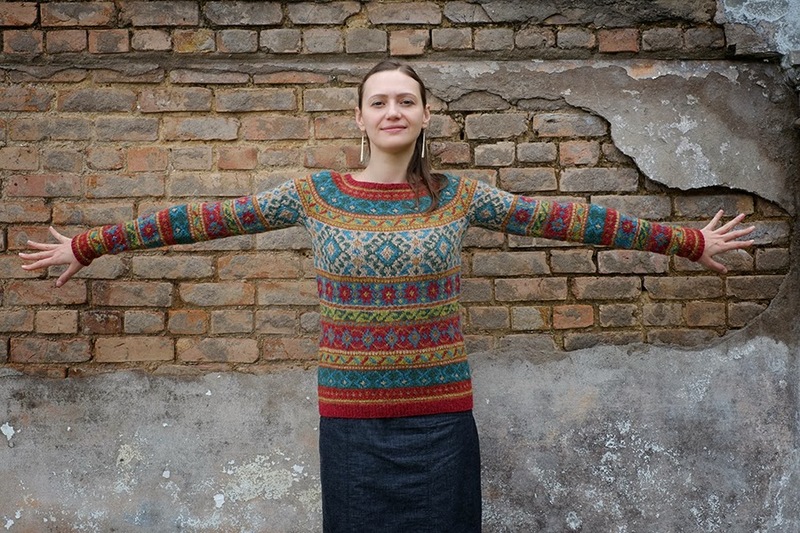 What a wonderful jumper, that really suits you..well done! What a wonderful piece if work! 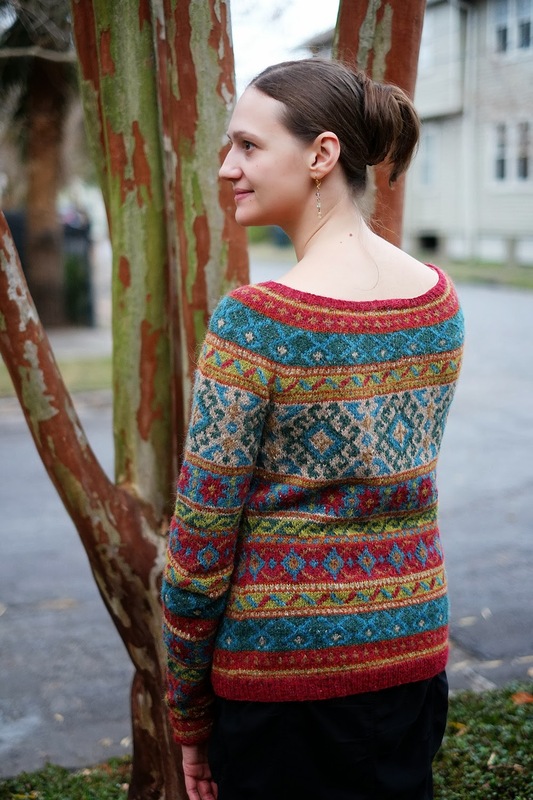 I found this sweater in your blog and decided to make it for myself. I am done with one side, but my wrong side looks very different from yours :( it has long colour lines (i was not cutting yarn) - have you used any special technique to make it so perfect on the wrong side? I would be so so grateful, thank you!!! Are the lines up the sides, or do you mean in horizontal floats? I cut my yarn if I wasn't going to use it within about 4 rows. Horizongally, I make sure to catch the other yarn every 3 stitches. 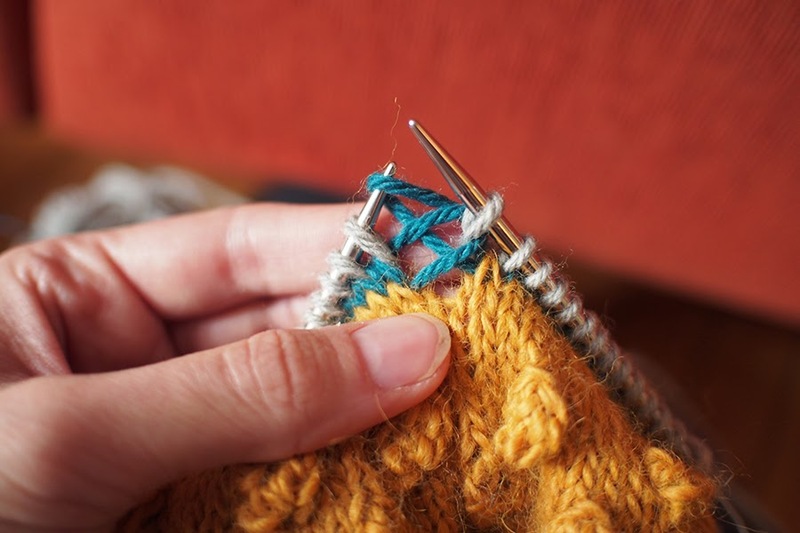 There are tutorials on how to "lock" or "catch" the yarn to avoid long floats. If you get this comment back, you can leave me your Rav ID so I can alert you to a reply, or scroll down and use the "Contact Me" section, which will go straight to e-mail. I hope you find this answer and good luck! 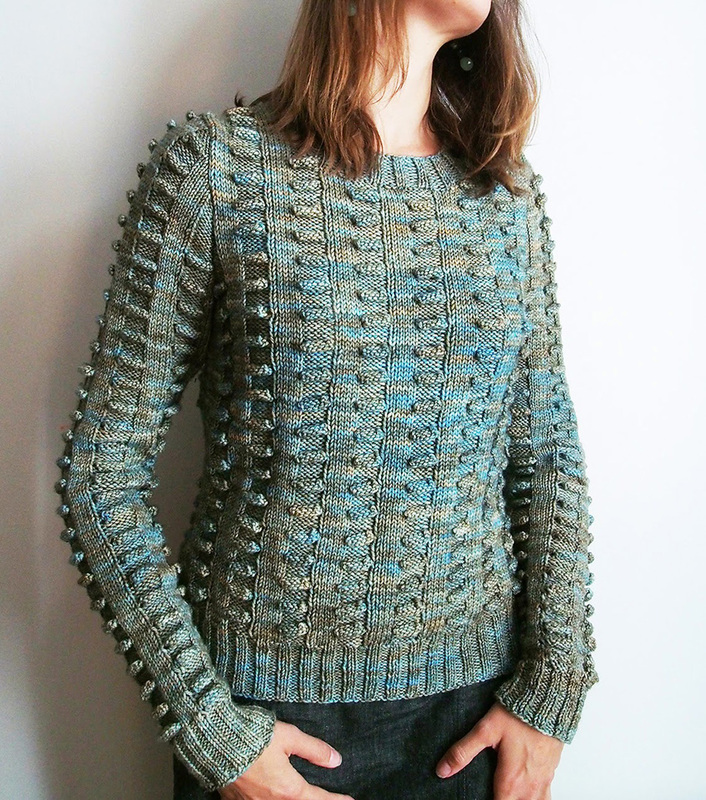 So stunning... and hard work converting the pattern into a up-side-down knitting. Have you done a pattern and is there any possibilities buying yours. 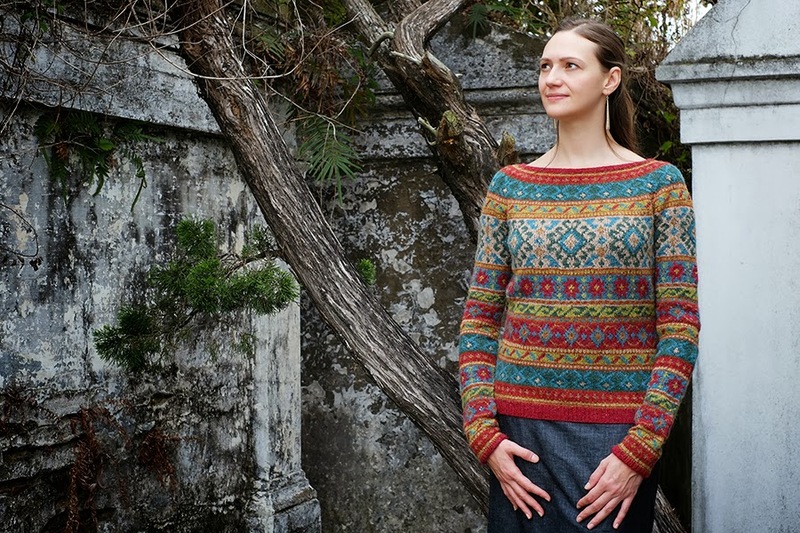 I have already bought the pattern and yarn at Ravely ?? Hi Dayana, your Anatolia blog has saved my project for sure, as I began searching as soon as I dug into it. 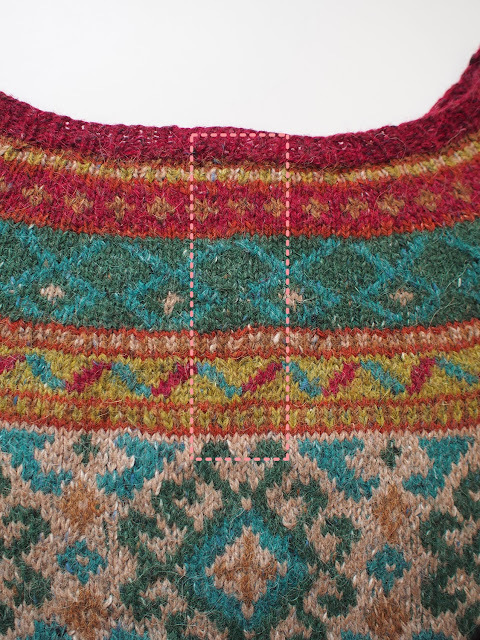 One small, gratifying detail proves what I believe to be true - the tension for this project as stated in the pattern is a publishing mistake. I tried the tension square over and over trying to get the vertical dimension right, but it was a full measure out regardless of needles size or held tension, while the horizontal tension was bang on - I use metric and was out 1 full centimetre, meaning everything would be too short but I couldn't really figure out how much too short (I may well run out of yarn). I am not pleased with Rowan and wrote to let them know. I was thrilled to read, then about the provisional cast-on and this is the first thing I decided to adapt from you. 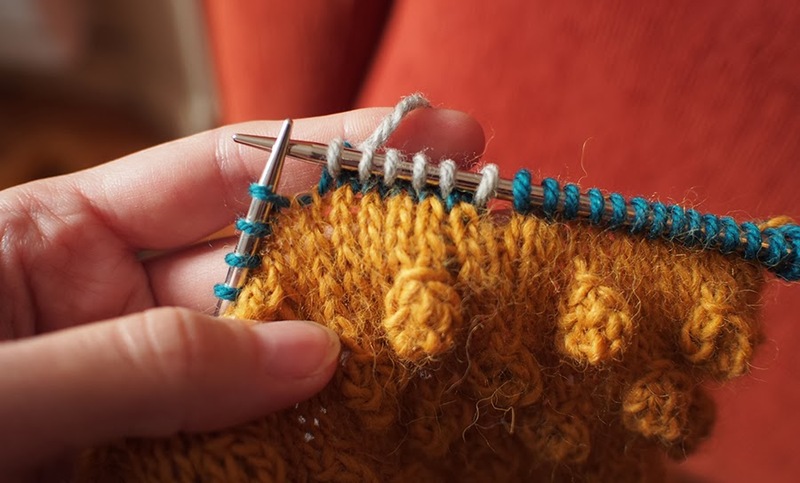 The other thing is the knitting in the round - while the pattern was declared in the book, to be perfect for knitting in the round, the pattern is written for flat. This is where your blog was helpful again, and I am progressing through a sleeve for my first pattern piece. 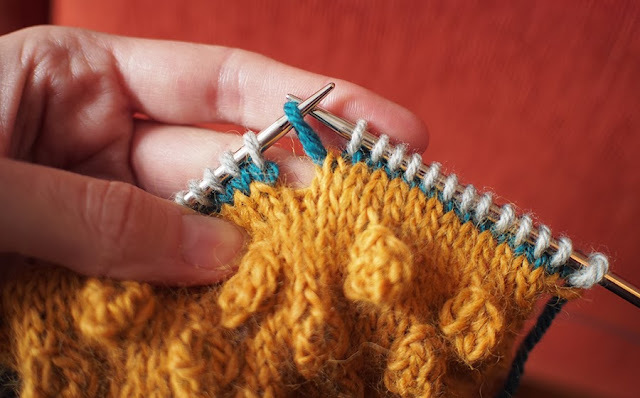 I wonder if you could answer one question - when knitting the sleeve in the round, do you still increase for the raglan? If so, is there anything special about how that is done? If not, I assume I would just knit to the last row, keeping the same stitch count I'm at when I get to the raglan start?